Dr. Felder’s education-related papers from 1972 to 2016 are listed by topic and also in reverse chronological order. Scroll down to access links to both listings. You will be able to download most of the papers as PDF files. Click on a tab label to open the list of papers on that topic, and click on it again to close the list. “ABET Criteria 2000: An Exercise in Engineering Problem Solving.” A column of reflections on the ABET Engineering Criteria, the accreditation standard for all U.S. engineering programs. “EC2000 Criterion 2: A Procedure for Creating, Assessing, and Documenting Program Educational Objectives.” A paper that reviews ABET Engineering Criterion 2 and offers guidance on addressing it. “Objectively Speaking.” A column on how to write learning objectives for a course and why they make everything you do thereafter (e.g. planning syllabi and class sessions, making up assignments and exams, and reviewing departmental curricula) easier and more effective. Creating Partnerships: Active Learning in an Engineering Class. A 35-minute video on YouTube containing clips of Dr. Felder using active learning in a large class, with narration by Dr. Felder and Dr. Rebecca Brent and post-course comments from several of the students about the impact of the teaching method on their learning. “Active Learning: An Introduction.” A short tutorial that defines active learning, gives examples of activities and formats, and answers frequently-asked questions about the method. You can also take a multiple-choice quiz on the tutorial contents that provides feedback on incorrect responses. “Any Questions?” A column on different types of questions that can be effectively asked in class. “Death by PowerPoint.” How and how not to use presentation graphics in a class. “Does Active Learning Work? A Review of the Research.” A paper by Michael Prince reviewing the research evidence for the effectiveness of active learning. “Effects of Active Learning on Student Performance and Retention.” 2008 ASEE Annual Conference Proceedings, ASEE, June 2008. Exam grades and curricular retention of students taught actively in the introductory chemical engineering course were compared with grades and retention of students taught with traditional lecturing. “FAQs-2.” Can I use active learning exercises in my classes and still cover the syllabus? Do active learning methods work in large classes? “Hang in There: Dealing with Student Resistance to Learner-Centered Teaching.” If you tried active or cooperative or problem-based learning and got pushback and lower ratings from the students and feel discouraged, here are some things to think about. “How About a Quick One?” A column suggesting formats for small-group in-class exercises and the one-minute paper. “It Goes Without Saying.” An illustrative lesson utilizing active learning. “Learning by Doing.” A column outlining the philosophy and strategies of active learning. “Screens Down, Everyone: Effective Uses of Portable Computers in Lecture Classes.” Tips on using portables in class to work through tutorials, develop skills in software applications, and carrying out web-based research. “Sermons for Grumpy Campers.” Short speeches to persuade students that active and cooperative learning are not violations of their civil rights, but instructional methods likely to improve their learning and grades and prepare them for their future careers. “A Student-Centered Approach to Teaching Material and Energy Balances. Part 2. Course Delivery and Assessment.” The second of a two-part series in Chemical Engineering Education on an implementation of the stoichiometry course that made extensive use of active and cooperative methods. “Stoichiometry without Tears.” Tips on teaching the introductory chemical engineering course (material and energy balances), with an extended illustrative active learning exercise. “Systems Thinking: An Experimental Course for College Freshmen.” A description of a course taught in 1986 that made extensive use of active learning to help students develop critical thinking and communication skills. “You Got Questions, We Got Answers. 2. Active Learning.” Why do it? How do we know it works? How much should you do in a class session? Can I use it for long problem solutions and derivations? Can I use it online? “Designing and Teaching Courses to Satisfy the ABET Engineering Criteria.” A paper that reviews educational assessment terminology (educational objectives, outcomes, learning objectives, etc. ), followed by suggestions for formulating course learning objectives, designing instruction, and selecting assessment methods that address Outcomes 3a-3k of the system used to accredit all American engineering programs. “Designing Tests to Maximize Learning.” Suggestions for writing and grading tests to provide an appropriate balance of challenge and fairness. “The Generic Quiz: A Device to Stimulate Creativity and Higher-Level Thinking Skills.” A “make-up-an-exam” exercise that helps students develop higher-level thinking skills (analytical, critical, and creative thinking). “Hard Assessment of Soft Skills.” Using checklists and rubrics both to assess soft (professional) skills and to help students develop those skills. “How to Stop Cheating (or at Least Slow It Down).” Statistics on the incidence of cheating in college and proven ideas for preventing it and catching it when it occurs. “Cheating — An Ounce of Prevention.” Common student cheating strategies and tips for preventing and detecting them. “Tips on Test Taking.” Things students should and should not do when preparing for tests and taking them. “Memo to Students Who are Disappointed with Their Last Test Grade.” Suggestions for improving test performance. “Want Your Students to Think Creatively and Critically? How about Teaching Them?” Suggestions for how to do it. “Does Engineering Education Have Anything to Do with Either One: Toward a Systems Approach to Training Engineers.” A 1982 monograph that calls for the integration of creativity (among other things) into the engineering curriculum and offers suggestions on how to do it. “On Creating Creative Engineers.” Classroom exercises and assignments to help students develop and improve their creative thinking skills. “Creativity in Engineering Education.” More techniques to help engineering students develop creative thinking skills. “Systems Thinking: An Experimental Course for College Freshmen.” Description of a course taught in 1986 that made extensive use of active learning to help students develop critical thinking and communication skills. “Cooperative Learning.” A book chapter that provides an overview of definitions and methods of cooperative learning and a review of CL applications in chemistry. CATME Smarter Teamwork. A website containing a variety of tools for forming cooperative learning teams and helping them develop high-performance teamwork skills. “The Comprehensive Assessment of Team Member Effectiveness: Development of a Behaviorally Anchored Rating Scale for Self- and Peer Evaluation.” Origins, validity, and application of the online peer rating system for cooperative learning teams that is part of the CATME Smarter Teamwork suite of tools. “Cooperative Learning in Technical Courses: Procedures, Pitfalls, and Payoffs.” A monograph published as an ERIC Document Reproduction Service report. “A Longitudinal Study of Engineering Student Performance and Retention. IV. Instructional Methods and Student Responses to Them.” A detailed outline of an instructional approach that incorporates active and cooperative learning and a variety of other methods designed to address a broad spectrum of learning styles. “A Longitudinal Study of Engineering Student Performance and Retention. V. Comparisons with Traditionally-Taught Students.” Performance and attitude differences between students taught with an active/cooperative learning model and students taught with a traditional instructor-centered model. “Cooperative Learning in a Sequence of Engineering Courses: A Success Story.” A synopsis of the preceding two references. “Accounting for Individual Effort in Cooperative Learning Teams.” An article reporting on an experimental study of the use of a peer rating system in an introductory engineering course. The study examines the incidence of students receiving low ratings from all their teammates, inflated and deflated self-ratings, identical ratings given by all teammates to one another, and possible gender and racial bias in the ratings. “Best Practices Involving Teamwork in the Classroom: Results from a Survey of 6435 Engineering Student Respondents.” How instructors form and guide teams and implement cooperative learning can have a dramatic effect on students’ satisfaction with the team experience and their sense of the extent to which the course learning objectives were met. “Designing and Teaching Courses to Satisfy the ABET Engineering Criteria.” Review of ABET program assessment terminology (program educational objectives, program outcomes, course learning objectives, etc. ), followed by suggestions for formulating learning objectives, designing instruction, and selecting assessment methods that address Outcomes a-k of the system used to accredit all American engineering programs. Includes an appendix that outlines how cooperative learning can be used to address all 11 of those outcomes. “Dynamics of Peer Education in Cooperative Learning Workgroups.” Conversation analysis of work sessions of student groups is used to identify patterns of teaching-learning interactions and interactional problems. “Effective Strategies for Cooperative Learning.” An article in the Journal of Cooperation and Collaboration in College Teaching that offers tips on forming teams, dealing with dysfunctional teams, grading team assignments, and using cooperative learning in a distance learning environment. “FAQs.” What evidence is there that these alternative teaching methods actually work? “FAQs-3.” A column on methods of setting up groupwork in distance learning. “L’Apprendimento Cooperativo: Un Metodo per Migliorare la Preparazione e l’Acquisizione di Abilità Cognitive negli Studenti,” Methods and benefits of cooperative learning. (In Italian, with an English abstract). 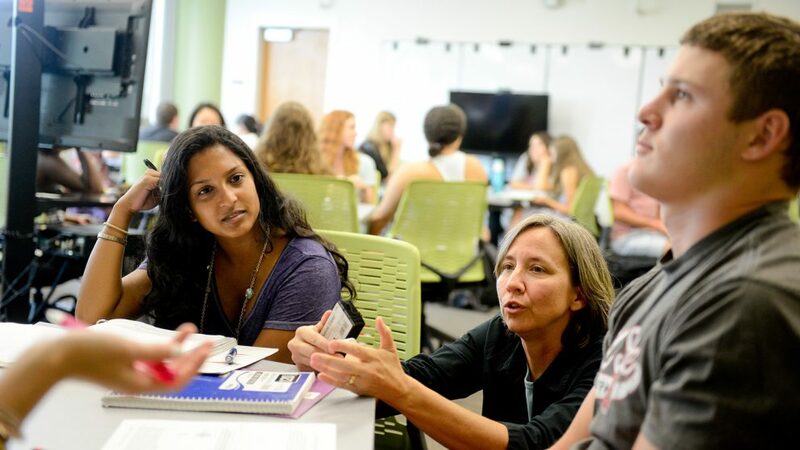 “Navigating The Bumpy Road to Student-Centered Instruction.” Tips on overcoming the resistance many students exhibit toward student-centered instructional methods like active and cooperative learning. “A Student-Centered Approach to Teaching Material and Energy Balances. Part 2. Course Delivery and Assessment.” The second of a two-part series on an implementation of the stoichiometry course that made extensive use of active and cooperative methods. “Turning Student Groups into Effective Teams.” Techniques for avoiding dysfunctional teams, dealing with them when they arise, and helping students acquire the skills they will need to form high-performance teams. “Active, Inductive, Cooperative Learning: An Instructional Model for Chemistry?” J. Chem. Ed., 73(9), 832-836 (1996). “Engineering Education: A Tale of Two Paradigms.” Conflicts between the traditional teacher-centered paradigm for engineering education and the emerging learner-centered paradigm, and predictions about the eventual outcome. “Changing Times and Paradigms.” A 2004 column listing driving forces for reform in engineering education and signs that they may be working. “Does Engineering Education Have Anything to Do with Either One: Toward a Systems Approach to Training Engineers.” A 1982 monograph that relates prevalent practices in engineering education to many technology-based problems facing society. Many of the educational reforms suggested in the monograph were developed further in Dr. Felder’s papers in subsequent decades and anticipated many of the features of the current engineering program accreditation system. “Teaching Engineering at a Research University: Problems and Possibilities.” Proven strategies for effective teaching, why most faculty members don’t know about them, and ways to change the system to make their use more widespread. “Teaching Engineering in the 21st Century with a 12th Century Teaching Model: How Bright is That?” A comparison of traditional teaching methods, which in many ways go back nearly a millennium, with methods more appropriate for helping modern engineering students develop the professional skills that will be required of them. “American Engineering Education: Current Issues and Future Directions.” A 1993 crystal ball-gazing paper. The good news is that it was an accurate summary of the current issues and future directions in 1993. The bad news is that it still works remarkably well in 2018. “The Future ChE Curriculum: Must One Size Fit All?” This 1987 paper is also still pretty much on target. “The Future of Engineering Education. I. A Vision for a New Century.” The first of a series of six papers in Chemical Engineering Education surveying recent changes and predicting future directions in engineering education. This paper reviews the global issues that will require reforms in the way engineers are educated and engineering professors are prepared to provide the education. “The Future of Engineering Education. II. Teaching Methods that Work.” A survey of instructional methods that have been proven effective in many classroom research studies and can be implemented within the context of the ordinary engineering classroom. Topics covered include formulation of clearly defined instructional objectives and using active, cooperative, and problem-based learning. “The Future of Engineering Education. III. Developing Critical Skills.” Techniques to help students develop problem-solving, writing, teamwork, self-assessment, change-management, and lifelong learning skills. “The Future of Engineering Education. IV. Learning How to Teach.” Approaches to equipping current and future faculty members with teaching skills. Examples are given of successful courses and workshops on teaching and mentorship programs. “The Future of Engineering Education. V. Assessing Teaching Effectiveness and Educational Scholarship.” Methods for determining the effectiveness of instruction in individual courses and curricula (learning outcomes assessments, ratings from students, peers, and alumni, teaching portfolios) and determining the quality of educational scholarship. “The Future of Engineering Education. VI. Making Reform Happen.” Suggestions for addressing faculty concerns about alternative teaching methods and possible incentives and rewards for faculty to redesign courses and curricula and improve teaching quality. “Team-Teaching in an Integrated Freshman Engineering Curriculum.” Instruction delivered by a multidisciplinary faculty team in the curriculum described in the next two references. “IMPEC: An Integrated First-Year Engineering Curriculum.” 1996 report on a pilot-scale sequence of courses that included two semesters of calculus, one of physics, one of chemistry, and one-credit engineering courses in each semester that provided context and motivation for the science and math. “Update on IMPEC: An Integrated First-Year Engineering Curriculum at North Carolina State University.” A 1997 update on the previous paper that includes assessment data. “The Myth of the Superhuman Professor.” Problems that result from the common requirement that all faculty members at research universities must excel at both teaching and disciplinary research, and an alternative model for faculty hiring and advancement. “A Survey of Faculty Teaching Practices and Involvement in Faculty Development Activities.” The extent to which engineering faculty in 1999-2000 were using various nontraditional methods including active and team-based learning, and the role of faculty development in promoting the observed usage. “The Warm Winds of Change.” A 1996 column reporting indications that the climate for teaching at universities may be improving. “A Whole New Mind for a Flat World.” A column observing that to get and keep jobs in a world of growing globalization, outsourcing of skilled jobs, and offshoring of entire manufacturing operations, engineering graduates in developed countries will need knowledge and skills that are not addressed in today’s engineering curriculum. “Why Are You Teaching That?” Ideas for course content that could be dropped and no one (except maybe the professor who loves it) would miss it. “How to Evaluate Teaching.” Obtaining a comprehensive evaluation of the quality of a faculty member’s teaching. “A Protocol for Peer Review of Teaching.” Outline of a system for obtaining a reliable peer rating of the quality of course instruction. “If You’ve Got It, Flaunt It: Uses and Abuses of Teaching Portfolios.” A column on functions of teaching portfolios, tips for designing and evaluating them, and recommendations for implementing campus-wide portfolio programs (material drawn primarily from the work of Peter Seldin). “It Takes One to Know One.” A column of strategies and tips for peer review of teaching. “The Future of Engineering Education. V. Assessing Teaching Effectiveness and Educational Scholarship.” An article in Chemical Engineering Education on methods for determining the effectiveness of instruction in individual courses and curricula (learning outcomes assessments, ratings from students, peers, and alumni, teaching portfolios) and determining the quality of educational scholarship. “Student Ratings of Teaching: Myths, Facts, and Good Practices.” Common beliefs about the validity and value of student ratings, what the research says about those beliefs, and how to make ratings as useful as possible. A 2008 update of the “What Do They Know, Anyway” columns that follow. “What Do They Know, Anyway?” A column of common misconceptions about student evaluations of teaching and the research results that disprove them. “What Do They Know, Anyway? 2. Making Evaluations Effective.” A column on ways to get the most benefit from student evaluations of teaching. “Engineering Instructional Development: Programs, Best Practices, and Recommendations.” A 2011 review of instructional development programs around the world, a framework for designing them, and recommendations for making them effective. “Effective Teaching Workshops for Engineering and Science Faculties.” Nine suggestions that are powerful and not difficult to implement. “Engineering Faculty Development: A Multicoalition Perspective.” A model for the design of an engineering faculty development program, with implementation examples drawn from several of the NSF Engineering Education Coalitions. “Engineering Faculty Development: Getting the Sermon Beyond the Choir.” A 2001 paper in the Journal of Faculty Development describing a program designed and implemented for an eight-campus coalition of engineering schools. The paper presents program evaluation results and recommendations for instituting similar programs on other campuses. “Faculty Development: Getting the Sermon Beyond the Choir.” A 1998 ASEE Conference Proceedings paper with suggestions for making teaching workshops for STEM professors effective and engaging them in faculty development programs other than workshops. “Helping New Faculty Get Off to a Good Start.” An article that suggests things administrators and senior faculty can do to help new faculty members become productive in research and effective in teaching early in their careers. “How to Write Anything.” Weeks or months or years have gone by, and you still haven’t managed to complete a first draft of that big proposal, paper, dissertation, or book. Here’s what you’re probably doing wrong and what to do instead. “Introducing New Engineering Faculty to Multidisciplinary Research Collaboration.” A new faculty orientation exercise in which faculty members are paired across disciplines and assigned to outline a research project that spans their areas of expertise. Most start out by floundering and eventually create outstanding propositions. “Just-in-Time vs. Just-in-Case: Orientation for New Faculty in STEM Disciplines.” A workshop to help new faculty members in engineering and the sciences get their research and teaching careers off to a good start. “Mentoring: A Personal Perspective.” An article in College Teaching describing a mentoring relationship between an experienced faculty member and a relatively new one as viewed from both perspectives. “The National Effective Teaching Institute: Assessment of Impact and Implications for Faculty Development.” Influence of the NETI on its participants’ teaching practices, attitudes toward teaching and learning, student ratings, and engagement in educational scholarship and instructional development, with implications for design and assessment of faculty development programs in engineering and the sciences. “Analysis of Fifteen Years of the National Effective Teaching Institute.” Expanded version of the previous paper with more detailed data. “New Faculty 101: An Orientation to the Profession.” Description of a workshop at North Carolina State University that provides guidance to new faculty members on starting and managing a research program, planning and teaching courses, balancing competing time demands, and becoming an effective participant in the campus community. “New Faculty Members May Not Know How to Teach, but At Least They Know How to Do Research…Right?” The answer is, don’t count on it. “New STEM Faculty Support: Why Aren’t We Providing It?” Challenging the traditional university assumption that all new faculty hires already know how to teach effectively, start and build a successful research program, and meet the time demands imposed by teaching, research, and trying to have a life. “Preparing New Faculty Members to be Successful: A No-Brainer and yet a Radical Concept.” A multifaceted program at North Carolina State University to help prepare new and future faculty members for successful academic careers. “Reframing Professional Development: A Systems Approach to Preparing Engineering Educators to Educate Tomorrow’s Engineers.” A guest editorial in a special 2008 issue of the Journal of Engineering Education. “Schooling vs. Education and Other Balancing Acts.” A keynote address surveying some of the dilemmas that every college professor must confront and suggesting how to resolve them. “So You Want to Win a CAREER Award.” A column of suggestions for preparing a proposal to the NSF Early Faculty Development (CAREER) Program. 1999-2000 SUCCEED Faculty Survey of Teaching Practices and Perceptions of Institutional Attitudes toward Teaching. SUCCEED Coalition Report, December 2001. View full report (95 pages) or executive summary (9 pages). Reported frequencies of use of active and cooperative learning, learning objectives, writing assignments, and faculty development services, and perceptions of the value ascribed to teaching quality by faculty members, administrators, and the faculty reward system. The survey respondents were 586 engineering faculty members at eight institutions. “Teaching Teachers to Teach: The Case for Mentoring.” A column proposing a model for helping new professors learn the craft of teaching. “The New Faculty Member.” A column that summarizes Robert Boice’s book of the same name. Tips to help new faculty members make rapid progress up the academic ladder to tenure and promotion. “Turning New Faculty Members into Quick Starters.” A brief synopsis of the preceding paper. “A Professional Development Program for Graduate Students at North Carolina State University.” Description of a program that includes workshops for new teaching assistants and graduate students contemplating academic careers, as well as a campus-wide course on teaching and a “Preparing the Professoriate” mentorship program. S.P. Beaudoin and R.M. Felder, “Preparing the Professoriate: A Study in Mentorship,” J. Grad. Tchng. Asst. Development, 4(3), 87–91 (1997). Description of a faculty-graduate student mentorship program focusing on effective teaching and/or educational research, with a case study of an educational research project. R.M. Felder, R. Leonard, and R.L. Porter, “Oh God, Not Another Teaching Workshop.” Engineering Education, 79(6), 622 (1989). “Changing Times and Paradigms.” Driving forces for reform in engineering education and signs that they may be working. “Does Faculty Research Improve Undergraduate Teaching? An Analysis of Existing and Potential Synergies.” A review of the literature on the research-teaching nexus and recommendations to strengthen the nexus. “The Link between Teaching and Research. 1. Does It Exist?” Summary of the evidence in the preceding article supporting or failing to support the often-claimed synergy between faculty research activity and teaching effectiveness. “The Link between Teaching and Research. 2. How to Strengthen Each without Weakening the Other.” Second part of a summary of a recent survey of the literature on the relationship between faculty research activity and teaching effectiveness. “The Myth of the Superhuman Professor.” Problems that result from the common requirement that all faculty members at research universities must excel at both teaching and disciplinary research and an alternative model for faculty hiring and advancement. “How to Improve Teaching Quality.” An article in the Quality Management Journal on ideas for improving the quality of instruction in an individual course and the quality of the instructional program in a department or school. “Inductive Teaching and Learning Methods: Definitions, Comparisons, and Research Bases.” Inductive teaching methods begin instruction with observations to be interpreted, problems to be solved, or case studies to be analyzed, and introduce facts, rules, procedures, principles, and theories in the context of those activities. This paper reviews and compares several common inductive methods, including inquiry learning, problem-based and project-based learning, discovery learning, case-based teaching, and just-in-time teaching, and surveys their applications in engineering education and the research base that confirms their effectiveness. “The Many Faces of Inductive Teaching and Learning.” Pros, cons, and comparisons of several different inductive teaching methods (inquiry-based learning, discovery learning, problem- and project-based learning, case-based teaching, and just-in-time teaching). The paper describes illustrative applications of these methods in the sciences and offers guidance on their implementation. “Introduction to learning objectives.” A short tutorial that defines learning objectives, gives reasons for writing them and different ways to use them, outlines different levels of complexity of objectives using Bloom’s Taxonomy, and gives directions for writing effective objectives at different levels. You can also take a multiple-choice quiz on the tutorial contents that provides feedback on incorrect responses. “Are Learning Styles Invalid? (Hint: No! ).” A response to claims that no evidence justifies taking learning styles into account when designing instruction. “Learning and Teaching Styles in Engineering Education.” The 1988 article in Engineering Education that originally defined the Felder-Silverman learning styles model and identified teaching practices that should meet the needs of students with the full spectrum of styles. The paper is preceded by a 2002 preface that states and explains changes in the model that have been made since 1988. “Learning Styles and Teaching Styles.” History of Dr. Felder’s initial engagement with the sometimes controversial (although it wasn’t at the time) topic of learning styles. “Reaching the Second Tier: Learning and Teaching Styles in College Science Education.” An article in the Journal of College Science Teaching containing an updated presentation of the Felder-Silverman model. “Applications, Reliability, and Validity of the Index of Learning Styles.” A summary of learning style profiles and a validation study of the Index of Learning Styles, a self-scoring on-line instrument that assesses learning style preferences on the dimensions of the Felder-Silverman model. “A Psychometric Study of the Index of Learning Styles.” Reliability, factor structure, and construct validity of the Index of Learning Styles. “Learning and Teaching Styles in Foreign and Second Language Education.” An article in Foreign Language Annals outlining the application of the Felder-Silverman learning styles model to language education. “Understanding Student Differences.” An article in the Journal of Engineering Education exploring differences in student learning styles, approaches to learning (deep, surface, and strategic), and levels of intellectual development. “Matters of Style.” An article in ASEE Prism outlining the principles and applications of four learning style models (Felder-Silverman, Kolb, and models based on the Myers-Briggs Type Indicator and the Herrmann Brain Dominance Instrument). “The Effects of Personality Type on Engineering Student Performance and Attitudes.” An article in the Journal of Engineering Education describing results from administering the Myers-Briggs Type Indicator to 116 sophomore engineering students whose progress through the curriculum for the next two years was monitored. Type differences in various academic performance measures and attitudes were generally consistent with the predictions of type theory. Active and cooperative learning improves the performance of MBTI types (extraverts, sensors, and feelers) found in previous studies to be disadvantaged in the engineering curriculum. “Meet Your Students: 1. Stan and Nathan.” A column describing the sensor and the intuitor on the Myers-Briggs Type Indicator and the Felder/Silverman Learning Styles Model. “Meet Your Students: 2. Susan and Glenda.” A column describing the sequential learner and the global learner on the Felder/Silverman Learning Styles Model. “Meet Your Students: 4. Jill and Perry.” A column describing the judger and the perceiver on the Myers-Briggs Type Indicator. “Meet Your Students: 5. Edward and Irving.” A column describing the extravert and the introvert on the Myers-Briggs Type Indicator, and to a good approximation, the active learner and reflective learner on the Index of Learning Styles. “Meet Your Students: 6. Tony and Frank.” A column describing the thinker and the feeler on the Myers-Briggs Type Indicator. A cohort of chemical engineering students was taught five chemical engineering courses in consecutive semesters using active and cooperative learning and a variety of other methods designed to address a broad spectrum of learning styles. Numerous academic performance measures, confidence levels, attitudes toward their instruction and their chosen field of study, and demographic variables were assessed for these students and analyzed, and the outcomes were compared with comparable results for a cohort of students taught traditionally. The principal results were reported in the following series of six papers. “A Longitudinal Study of Engineering Student Performance and Retention. I. Success and Failure in the Introductory Course.” Factors that correlate with students’ performance, success, self-confidence, and attitudes toward education. “A Longitudinal Study of Engineering Student Performance and Retention. II. Differences between Students from Rural and Urban Backgrounds.” Performance, confidence level, and attitude differences between students from rural and urban/suburban backgrounds taught with an active/cooperative learning model. “A Longitudinal Study of Engineering Student Performance and Retention. III. Gender Differences in Student Performance and Attitudes.” Performance, confidence level, and attitude differences between men and women taught with an active/cooperative learning model. “A Longitudinal Study of Engineering Student Performance and Retention. IV. Instructional Methods and Student Responses to Them.” An instructional approach that incorporates active and cooperative learning and a variety of other methods designed to address a broad spectrum of learning styles. “Chemical Engineering at North Carolina State University.” An informal portrait of the N.C. State University Chemical Engineering Department in 1979. “Does Your Department Culture Suit You?” A questionnaire to rate academic departments on a Competitive vs. Collegial scale. “The Curmudgeon’s Corner.” A collection of miscellaneous gripes. “Foreword to R. Landis, Studying Engineering, 2nd Ed. Anaheim, CA: Discovery Press (2000). Reprinted in subsequent editions. “Good Cop/Bad Cop: Embracing Contraries in Teaching.” A column reviewing Embracing Contraries, a thought-provoking book about teaching by Peter Elbow. “How Learning Works.” Highlights from Ambrose et al. (2010). How Learning Works: Seven Research-Based Principles for Smart Teaching, an excellent survey of pedagogical implications of modern cognitive science. “How to Prepare New Courses without Losing Your Sanity.” Tips on how to handle new preps and still have time to have a life (sort of). “Identifying and Dealing with Exceptionally Gifted Children: The Half-Blind Leading the Sighted.” How our educational system routinely fails to meet the needs of the most intellectually gifted of our students. “Nobody Asked Me, But…” A column summarizing some of Dr. Felder’s opinions and prejudices. “The Way to Bet.” A collection of assertions about teaching and learning that may not be certain but are highly probable. “A Teacher’s Teacher.” A celebration of Professor Jim Stice, a legend in engineering education. “We Hold These Truths To Be Self-Evident.” A column of several common but unproven myths about teaching. “Why Me, Lord?” How to deal with a student in crisis if you’re not a trained counselor. “Writing Assignments: Pathways to Connections, Clarity, Creativity.” An article in College Teaching offering examples of short writing assignments that address a wide variety of learning objectives. “A Course on Presenting Technical Talks.” Giving students practice and feedback in oral communications in a (relatively) non-threatening environment. “Technical Training: Hit the Ground Running.” Applying sound faculty development principles to industrial training. “The Effects of Personality Type on Engineering Student Performance and Attitudes.” An article in the Journal of Engineering Education reporting on a study in which the Myers-Briggs Type Indicator was administered to 116 sophomore engineering students, whose progress through the curriculum for the next two years was monitored. Type differences in various academic performance measures and attitudes were generally consistent with the predictions of type theory. “Matters of Style.” An article in ASEE Prism summarizing principles and applications of four learning style models (Felder-Silverman, Kolb, and models based on the Myers-Briggs Type Indicator and the Herrmann Brain Dominance Instrument). “Educational Practice and Educational Research in Engineering: Partners, Antagonists, or Ships Passing in the Night?” A guest editorial in the Journal of Engineering Education proposing that the movement toward increasing “rigor” in engineering education research has been driving a wedge between the engineering education research community and the broader community of engineering education practitioners, and that the movement may rest on unvalidated assumptions. “Research on Teaching and Learning in Engineering.” A transcript of a lecture on the history, categories, and techniques of research on engineering education. “The ABCs of Engineering Education: ABET, Bloom’s Taxonomy, Cooperative Learning, and So On.” An ASEE Conference Proceedings paper that defines and gives sources for detailed information on common concepts in engineering education. “The Scholarship of Teaching and Learning in Engineering.” A chapter in an edited volume on educational scholarship that surveys the history and methods of engineering education research. “The Scholarship of Teaching.” A column that defines the scholarship of teaching and outlines how might it be assessed and rewarded. “A Student-Centered Approach to Teaching Material and Energy Balances.” A two-part series in Chemical Engineering Education on an implementation of the stoichiometry course that made extensive use of active and cooperative methods. Part 1. Course Design describes the course structure and policies, assignments, and teaching assistant preparation, and Part 2. Course Delivery and Assessment outlines the first week of the course, how active, cooperative, and inquiry-based learning and instructional technology were used, and how the course was assessed and evaluated. “Stoichiometry Without Tears.” An article in Chemical Engineering Education suggesting an approach to teaching the stoichiometry course, with an extended illustrative class session. “Knowledge Structure of the Stoichiometry Course.” An article in Chemical Engineering Education containing annotated concept maps for the content of the standard stoichiometry course. “A Brief History of Elementary Principles of Chemical Processes.” A column outlining how the text originated, how long it took to write, who wrote which parts, and why anyone in his or her right mind would write an undergraduate textbook with the faculty reward system being what it is. “The Alumni Speak.” A column in which chemical engineering alumni talk about what they liked and didn’t like about their education and offer advice to beginning students. “The Intellectual Development of Science and Engineering Students. I. Models and Challenges.” The first of a two-part series of articles on the progression of students from a belief in the certainty of all knowledge and the omniscience of authorities to a recognition that knowledge is contextual and a tendency to apply critical thinking in its acquisition. This paper surveys models describing the progression and outlines challenges to instructors who wish to promote the development of their students. “The Intellectual Development of Science and Engineering Students. II. Teaching to Promote Growth.” Formulation of an instructional model designed to promote intellectual development. “The Effects of Personality Type on Engineering Student Performance and Attitudes.” An article reporting on a study in which the Myers-Briggs Type Indicator was administered to 116 sophomore engineering students, whose progress through the curriculum for the next two years was monitored. Type differences in various academic performance measures and attitudes were generally consistent with the predictions of type theory. 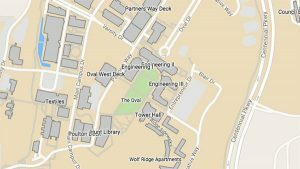 “An Engineering Student Survival Guide.” An article of tips for students on what to do if you’re struggling in your courses. “FAQs-4. Dealing with Student Background Deficiencies and Low Student Motivation.” A column of suggestions for moving from complaining about our students to addressing the problems we often have with them. “Impostors Everywhere.” A column about the Impostor Phenomenon as applied to engineering students. “Meet Your Students: 3. Michelle, Rob, and Art.” A column describing three different approaches to learning (deep, surface, and strategic) and the conditions that induce students to take a deep approach. “Meet Your Students: 7. Dave, Martha, and Roberto.” A column describing three students at different levels of Perry’s Model of Intellectual Development. “Memo to Students Who are Disappointed with Their Last Test Grade.” A column of suggestions for things students can do to improve their test performance. “Ships Passing in the Night.” A column suggesting that those classroom conversations may not always be about the lecture content. “There’s Nothing Wrong With the Raw Material.” A column commenting on the qualifications of precollege students. “What Matters in College.” A column reviewing What Matters in College, by Alexander Astin, perhaps the most extensive research study ever carried out of factors affecting student success in college. “Who Needs These Headaches? Reflections on Teaching First-Year Engineering Students.” A short article reporting experiences with coordinating and teaching an integrated first-year engineering curriculum and suggesting five inferred principles for teaching first-year engineering students effectively. “Is the Quality of American Students Really Declining?” Richard and Gary Felder’s perspective on the topic in 1992. Learner-Centered Teaching and Learning. Articles, columns, resources, and Web sites related to active learning, cooperative learning, and inductive teaching and learning methods such as inquiry-based learning and problem-based learning. “All in a Day’s Work.” A column of tips on dealing with troublesome classroom situations (students arriving late, talking, sleeping, etc.). “Any Questions?” A column summarizing different types of questions that can be effectively asked in class. “Beating the Numbers Game: Effective Teaching in Large Classes.” An article suggesting techniques for getting students actively involved in large lecture classes and for efficient management of the logistics of such classes. “The Future of Engineering Education. II. Teaching Methods that Work.” An article in Chemical Engineering Education surveying instructional methods that have been proven effective in many classroom research studies and can be implemented within the context of the ordinary engineering classroom. Topics covered include formulation of clearly defined instructional objectives and using active, cooperative, and problem-based learning. “The Future of Engineering Education. III. Developing Critical Skills.” An article in Chemical Engineering Education surveying techniques to help students develop problem-solving, writing, teamwork, self-assessment, change-management, and lifelong learning skills. “Handouts with Gaps.” Chem. Engr. Education, 49(4), 239-240 (Fall 2015). A research-validated technique for incorporating activities in a class, getting all the benefits of active learning, and not sacrificing content coverage (maybe even increasing it). “Cheating–An Ounce of Prevention.” Common student cheating strategies and tips for preventing and detecting them. “How to Teach (Almost) Anybody (Almost) Anything.” A four-step technique to equip students with almost any desired skill. “Learner-Centered Teaching: How and Why?” The differences between traditional teacher-centered instruction and learner-centered teaching, and why the latter approach consistently outperforms the former one at facilitating almost every desirable learning outcome. “A Learning Theory-Based Approach to the Undergraduate Engineering Laboratory.” Going well beyond the cookbook lab. “It’s a Start.” An article suggesting ways to get a class off to a good start in the first week. “Navigating The Bumpy Road to Student-Centered Instruction.” An article on overcoming the obstacles frequently encountered in implementing student-centered approaches like cooperative learning. “The 10 Worst Teaching Mistakes.” I. Mistakes 5-10. II. Mistakes 1-4. Your teachers made them and your colleagues make them. What about you? “To Flip or Not to Flip.” Good and not-so-good ways to flip a classroom (introduce new material online and then have students build on it in class). “Why Johnny and Janie Can’t (or Won’t) Read.” Why pre-class reading assignments are usually ineffective and how to improve them. “Why Students Fail Tests: 1. Ineffective Studying.” A cognitive science-based take on ineffective and effective study strategies. “Why Students Fail Tests: 2. Ineffective Teaching.” A cognitive science-based take on teaching practices that have negative effects on students’ learning, and suggestions of better alternatives to those practices. “A Comparison of Electronic Surveying by E-mail and Web.” A study showing that the Web offers a greater response processing capability, but e-mail yields a higher response rate. “FAQs-3.” A column on how to get students to work in teams in a distance learning environment. “Is Technology a Friend or Foe of Learning?” A column that addresses the question, will the flexibility of the World-Wide-Web and the convenience of distance education make conventional universities obsolete? The answer is, it depends on what the conventional universities do. “Student Use (and Non-Use) of Instructional Software.” An article in J. SMET Education suggesting that no matter how good instructional software may be, it has no educational benefits if students don’t use it. In the reported study, instructor proactivity increased student use of a courseware package by an order of magnitude. “How Do Engineering Faculty Use Instructional Technology?” Reports of surveys of over 1600 engineering faculty members conducted in 1999 and 2002. “A Longitudinal Study of Engineering Student Performance and Retention. III. Gender Differences in Student Performance and Attitudes.” Performance, confidence levels, and attitude differences between men and women taught with an active/cooperative learning model. R.M. Felder and R. Brent, Teaching and Learning STEM: A Practical Guide. San Francisco: Jossey-Bass (2016). R.M. Felder and R. Brent, “Active Learning: An Introduction.” A short tutorial that defines active learning, gives examples of activities and formats, and answers frequently-asked questions about the method. You can also take a multiple-choice quiz on the tutorial contents that provides feedback on incorrect responses. R.M. Felder and R. Brent, “Introduction to Learning Objectives.” A short tutorial that defines learning objectives, gives reasons for writing them and different ways to use them, outlines different levels of complexity of objectives using Bloom’s Taxonomy, and gives directions for writing effective objectives at different levels. You can also take a multiple-choice quiz on the tutorial contents that provides feedback on incorrect responses. R.M. Felder and R. Brent, “Learner-Centered Teaching: How and Why?” Learning Abstracts (League for Innovation in the Community College), 20(5), May 2017. The differences between traditional teacher-centered instruction and learner-centered teaching, and why the latter approach consistently outperforms the former one in facilitating almost every desirable learning outcome. R.M. Felder and R.G. Hadgraft, “Educational Practice and Educational Research in Engineering: Partners, Antagonists, or Ships Passing in the Night?” J. Engr. Education, 102(3), 339-345 (2013). A proposition that the movement toward increasing “rigor” in engineering education research has been driving a wedge between the engineering education research community and the broader community of engineering education practitioners, and that the movement may rest on unvalidated assumptions. R.M. Felder, “Engineering Education: A Tale of Two Paradigms.” In B. McCabe, M. Pantazidou, and D. Phillips, eds., Shaking the Foundations of Geo-Engineering Education, Leiden: CRC Press, 2012, pp. 9-14. Conflicts between the traditional teacher-centered paradigm for engineering education and the emerging learner-centered paradigm, and predictions about their eventual resolution. R.M. Felder, “New STEM Faculty Support: Why Aren’t We Providing It?” J. STEM Education, 13(5), 5-6 (2012). Challenging the traditional university assumption that all new faculty hires already know how to teach effectively, start and build a successful research program, and meet the time demands imposed by teaching, research, and trying to have a life. M.W. Ohland, M.L. Loughry, D.J. Woehr, L.G. Bullard, R.M. Felder, C.J. Finelli, R.A. Layton, H.R. Pomeranz, and D.G. Schmucker, “The Comprehensive Assessment of Team Member Effectiveness: Development of a Behaviorally Anchored Rating Scale for Self- and Peer Evaluation.” Academy of Management Learning and Education, 11(4), 609-630 (2012). Origins, validity, and application of an online peer rating system for cooperative learning teams that is part of the CATME Smarter Teamwork suite of tools. R.M. Felder, R. Brent, and M.J. Prince, “Engineering Instructional Development: Programs, Best Practices, and Recommendations.” J. Engr. Education, 100(1), 89-122 (2011). A review of instructional development programs around the world, a framework for designing them, and recommendations for making them effective. R.M. Felder, “Are Learning Styles Invalid? (Hint: No! ).” On-Course Newsletter, September 27, 2010. A response to claims that no evidence justifies taking learning styles into account when designing instruction. R.M. Felder and R. Brent, “The National Effective Teaching Institute: Assessment of Impact and Implications for Faculty Development.” J. Engr. Education, 99(2), 121-134 (2010). Influence of the NETI on its participants’ teaching practices, attitudes toward teaching and learning, student ratings, and engagement in educational scholarship and instructional development, with implications for design and assessment of faculty development programs in engineering and the sciences. R. Brent and R.M. Felder, “Analysis of Fifteen Years of the National Effective Teaching Institute.” 2009 ASEE Annual Conference Proceedings, ASEE, June 2009. Influence of the NETI on its participants’ teaching practices, attitudes toward teaching and learning, student ratings, and engagement in educational scholarship and instructional development, with implications for design and assessment of faculty development programs in engineering and the sciences. R.S. Adams and R.M. Felder, “Reframing Professional Development: A Systems Approach to Preparing Engineering Educators to Educate Tomorrow’s Engineers.” J. Engr. Education, 97(3), 239-240 (2008). A guest editorial in a 2008 issue of the Journal of Engineering Education. R. Brent and R.M. Felder, “A Professional Development Program for Graduate Students at North Carolina State University.” 2008 ASEE Annual Conference Proceedings, ASEE, June 2008. Description of a program that includes workshops for new teaching assistants and graduate students contemplating academic careers, as well as a campus-wide course on teaching and a “Preparing the Professoriate” mentorship program. L. Bullard, R.M. Felder, and D. Raubenheimer, “Effects of Active Learning on Student Performance and Retention.” 2008 ASEE Annual Conference Proceedings, ASEE, June 2008. Exam grades and curricular retention of students taught actively in the introductory chemical engineering course were compared with grades and retention of students taught with traditional lecturing. M.J. Prince, R.M. Felder, and R. Brent, “Does Faculty Research Improve Undergraduate Teaching? An Analysis of Existing and Potential Synergies.” J. Engr. Education, 96(4), 283-294 (2007). A review of the literature on the research-teaching nexus and recommendations to strengthen the nexus. B. Oakley, D.M. Hanna, Z. Kuzmyn, and R.M. Felder, “Best Practices Involving Teamwork in the Classroom: Results from a Survey of 6435 Engineering Student Respondents.” IEEE Transactions on Education, 50(3), 266–272 (2007). How instructors form and guide teams and implement cooperative learning can have a dramatic effect on students’ satisfaction with the team experience and their sense of the extent to which the course learning objectives were met. T.A. Litzinger, S.H. Lee, J.C. Wise, and R.M. Felder, “A Psychometric Study of the Index of Learning Styles.” J. Engr. Education, 96(4), 309-319 (2007). Reliability, factor structure, and construct validity of the Index of Learning Styles. R.M. Felder, “Research on Teaching and Learning in Engineering.” A transcript of the Academy of Chemical Engineers Award Lecture on the history, categories, and techniques of research on engineering education, presented to the Department of Chemical and Biological Engineering of the University of Missouri-Rolla, April 18, 2007. R.M. Felder and R. Brent, “Cooperative Learning.” Chapter 4 of P.A. Mabrouk, ed., Active Learning: Models from the Analytical Sciences, ACS Symposium Series 970. Washington, DC: American Chemical Society, 2007, pp. 34-53. A general overview of definitions and methods of cooperative learning and a review of CL applications in chemistry. L.G. Bullard and R.M. Felder, “A Student-Centered Approach to Teaching Material and Energy Balances.” A two-part series in Chemical Engineering Education on an implementation of the stoichiometry course that made extensive use of active and cooperative methods. Part 1. Course Design Chem. Engr. Education, 41, 93-100 (2007) describes the course structure and policies, assignments, and teaching assistant preparation, and Part 2. Course Delivery and Assessment Chem. Engr. Education, 41, 93-100 (2007) outlines the first week of the course, how active, cooperative, and inquiry-based learning and instructional technology were used, and how the course was assessed and evaluated. M. Prince and R.M. Felder, “The Many Faces of Inductive Teaching and Learning.” J. Coll. Sci. Teaching, 36(5), 14-20 (2007). Pros, cons, and comparisons of several different inductive teaching methods (inquiry-based learning, discovery learning, problem- and project-based learning, case-based teaching, and just-in-time teaching). The paper describes illustrative applications of these methods in the sciences and offers guidance on their implementation. R. Brent, R.M. Felder, and S.A. Rajala, “Preparing New Faculty Members to be Successful: A No-Brainer and yet a Radical Concept.” 2006 ASEE Annual Conference Proceedings, ASEE, June 2006. Description of a multifaceted program at North Carolina State University to help prepare new and future faculty members for successful academic careers. M.J. Prince and R.M. Felder, “Inductive Teaching and Learning Methods: Definitions, Comparisons, and Research Bases.” J. Engr. Education, 95(2), 123-138 (2006). Inductive teaching methods begin instruction with observations to be interpreted, problems to be solved, or case studies to be analyzed, and introduce facts, rules, procedures, principles, and theories in the context of those activities. This paper reviews and compares several common inductive methods, including inquiry learning, problem-based and project-based learning, discovery learning, case-based teaching, and just-in-time teaching. R.M. Felder, “Teaching Engineering in the 21st Century with a 12th Century Teaching Model: How Bright is That?” Chem. Engr. Education, 40(2), 110-113 (2006). A comparison of traditional teaching methods, which in many ways go back nearly a millennium, with methods more appropriate for helping modern engineering students develop the professional skills that will be required of them. R.M. Felder and R. Brent, “Understanding Student Differences.” J. Engr. Education, 94(1), 57-72 (2005). An exploration of differences in student learning styles, approaches to learning (deep, surface, and strategic), and levels of intellectual development. R.M. Felder and J.E. Spurlin, “Applications, Reliability, and Validity of the Index of Learning Styles.” Intl. J. Engr. Education, 21(1), 103-112 (2005). A validation study of the Index of Learning Styles, a self-scoring on-line instrument to assess preferences on the dimensions of the Felder-Silverman model of learning styles. M.W. Ohland, M.L. Loughry, D.J. Woehr, L.G. Bullard, R.M. Felder, C.J. Finelli, R.A. Layton, H.R. Pomeranz, and D.J. Schmucker, “Developing a Peer Evaluation Instrument that is Simple, Reliable, and Valid.” 2005 ASEE Annual Conference Proceedings, ASEE, June 2005. R.M. Felder and R. Brent, “The Intellectual Development of Science and Engineering Students. I. Models and Challenges.” J. Engr. Education, 93(4), 269-277 (2004). The first of a two-part series of articles on the progression of students from a belief in the certainty of all knowledge and the omniscience of authorities to a recognition that knowledge is contextual and a tendency to apply critical thinking in its acquisition. This paper surveys models describing the progression and outlines challenges to instructors who wish to promote the development of their students. R.M. Felder and R. Brent, “The Intellectual Development of Science and Engineering Students. II. Teaching to Promote Growth.” J. Engr. Education, 93(4), 279-291 (2004). Formulation of an instructional model designed to promote intellectual development. B. Oakley, R.M. Felder, R. Brent, and I. Elhajj, “Turning Student Groups into Effective Teams.” J. Student Centered Learning, 2(1), 9–34 (2004). Techniques for avoiding dysfunctional teams, dealing with them when they arise, and helping students acquire the skills they will need to form high-performance teams. C.E. Brawner, R.M. Felder, R.H. Allen, and R. Brent, “How Do Engineering Faculty Use Instructional Technology?” Reports of surveys of over 1600 engineering faculty members conducted in 1999 and 2002. R. Brent and R.M. Felder, “A Protocol for Peer Review of Teaching.” 2004 Annual ASEE Conference Proceedings, ASEE, June 2004. Outline of a system for obtaining a comprehensive and reliable peer rating of the quality of course instruction. R.M. Felder and R. Brent, “The ABCs of Engineering Education: ABET, Bloom’s Taxonomy, Cooperative Learning, and So On.” 2004 Annual ASEE Conference Proceedings, ASEE, June 2004. An ASEE Conference Proceedings paper that defines and gives sources for detailed information on common concepts in engineering education. R.M. Felder, “Teaching Engineering at a Research University: Problems and Possibilities.” Educación Química, 15(1), 40-42 (2004). Proven strategies for effective teaching, why most faculty members don’t know about them, and ways to change the system to make their use more widespread. L.G. Bullard and R.M. Felder, “Mentoring: A Personal Perspective.” College Teaching, 51(2), 66-69 (2003). A one-semester mentoring relationship between an experienced faculty member and a relatively new one viewed from both perspectives. R. Brent and R.M. Felder, “A Model for Engineering Faculty Development.” Intl. Journal of Engr. Education, 19(2), 234-240 (2003). Description and assessment of the SUCCEED Coalition faculty development program. R.M. Felder and R. Brent, “Designing and Teaching Courses to Satisfy the ABET Engineering Criteria.” J. Engr. Education, 92(1), 7–25 (2003). Review of program assessment terminology (program educational objectives, program outcomes, course learning objectives, etc. ), followed by suggestions for formulating learning objectives, designing instruction, and selecting assessment methods that address Outcomes a-k of the system used to accredit all American engineering programs. C.E. Brawner, R.M. Felder, R.H. Allen, and R. Brent, “A Survey of Faculty Teaching Practices and Involvement in Faculty Development Activities.” J. Engr. Education, 91(4), 393–396 (2002). The extent to which faculty at eight engineering schools participated in faculty development activities, wrote formal learning objectives for their courses, and used various instructional methods including active and team-based learning,writing assignments, and different applications of instructional technology. The next reference contains a complete summary of the data. R.M. Felder, “Designing Tests to Maximize Learning.” J. Professional Issues in Engineering Education and Practice, 128(1), 1-3 (2002). Suggestions for writing and grading tests to provide an appropriate balance of challenge and fairness. D.F. Ollis, R.M. Felder, and R. Brent, “Introducing New Engineering Faculty to Multidisciplinary Research Collaboration.” Proceedings, ASEE Annual Conference, June 2002. A new faculty orientation exercise in which faculty members are paired across disciplines and assigned to outline a research project that spans their areas of expertise. Most start out by floundering and eventually create outstanding propositions. A.M. Roskowski, R.M. Felder, and L.G. Bullard, “Student Use (and Non-Use) of Instructional Software.” J. SMET Education, 2, 41-45 (2002). No matter how good instructional software may be, it has no educational benefits if students don’t use it. In this study, instructor proactivity increased student use of a courseware package by an order of magnitude. L.J. Shuman, C.J. Atman, E.A. Eschenbach, D. Evans, R.M. Felder, J. McGourty, R.L Miller, L.G. Richards, K.A. Smith, E.P. Soulsby, A.A. Waller, and C.F. Yokomoto, “The Future of Engineering Education.” Proceedings, Frontiers in Education Conference, ASEE/IEEE, November 2002. Prominent engineering educators speculate on what will be the most important developments in the field in the coming decade. P.C. Wankat, R.M. Felder, K.A. Smith, and F.S. Oreovicz, “The Scholarship of Teaching and Learning in Engineering.” Chapter 11 of M.T. Huber and S. Morreale, eds., Disciplinary Styles in the Scholarship of Teaching and Learning: Exploring Common Ground. AAHE/Carnegie Foundation for the Advancement of Teaching, Washington, DC, 2002. C.E. Brawner, R.M. Felder, R. Allen, and R. Brent, 1999-2000 SUCCEED Faculty Survey of Teaching Practices and Perceptions of Institutional Attitudes toward Teaching. ERIC Document Reproduction Service Report #ED 461510 (2001). View full report (95 pages) or executive summary (9 pages). Reported frequencies of use of active and cooperative learning, learning objectives, writing assignments, and faculty development services, and perceptions of the value ascribed to teaching quality by faculty members, administrators, and the faculty reward system. The survey respondents were 586 engineering faculty members at eight institutions. R. Brent and R.M. Felder, “Engineering Faculty Development: Getting the Sermon beyond the Choir,” J. Faculty Development, 18(3),73-81(2001). Suggestions for designing effective faculty development programs that attract participation from a broad cross section of faculty in engineering and the sciences. R. Brent, R.M. Felder, S.A. Rajala, J.G. Gilligan, and G. Lee, “New Faculty 101: An Orientation to the Profession.” Proceedings of the ASEE/IEEE Frontiers in Education Conference, October 2001. Description of a workshop at North Carolina State University that provides guidance to new faculty members on starting and managing a research program, planning and teaching courses, balancing competing time demands, and becoming an effective participant in the campus community. R.M. Felder, “Technology-Based Instruction and Cooperative Learning.” The Interface (IEEE Education Society), August 2001, pp. 2-3. Don’t knock them until you’ve tried them–or at least until you’ve checked out the research attesting to their effectiveness. C.E. Brawner, R.M. Felder, R.H. Allen, R. Brent, and T.K. Miller, “A Comparison of Electronic Surveying by E-mail and Web.” Proceedings of the 2001 Annual ASEE Conference, June 2001. The Web offers a greater response processing capability, but e-mail yields a higher response rate. R.M. Felder and R. Brent, “Effective Strategies for Cooperative Learning.“ J. Cooperation & Collaboration in College Teaching, 10(2), 69-75 (2001). Tips on forming teams, dealing with dysfunctional teams, grading team assignments, and using cooperative learning in a distance learning environment. R.M. Felder, “Foreword to R. Landis, Studying Engineering, 2nd Ed. Anaheim, CA: Discovery Press (2000). Reprinted in subsequent editions. A. Rugarcia, R.M. Felder, D.R. Woods, and J.E. Stice, “The Future of Engineering Education. I. A Vision for a New Century.” Chem. Engr. Education, 34(1), 16-25(2000). The first of a series of six papers surveying recent changes and predicting future directions in engineering education. This paper reviews the global issues that will require reforms in the way engineers are educated and engineering professors are prepared to provide the education. R.M. Felder, D.R. Woods, J.E. Stice, and A. Rugarcia, “The Future of Engineering Education. II. Teaching Methods that Work.” Chem. Engr. Education, 34(1), 26-39(2000). A survey of instructional methods that have been proven effective in many classroom research studies and can be implemented within the context of the ordinary engineering classroom. Topics covered include formulation of clearly defined instructional objectives and using active, cooperative, and problem-based learning. D.R. Woods, R.M. Felder, A. Rugarcia, and J.E. Stice, “The Future of Engineering Education. III. Developing Critical Skills.” Chem. Engr. Education, 34(2),108-117(2000). Techniques to help students develop problem-solving, writing, teamwork, self-assessment, change-management, and lifelong learning skills. J.E. Stice, R.M. Felder, D.R. Woods, and A. Rugarcia, “The Future of Engineering Education. IV. Learning How to Teach.” Chem. Engr. Education, 34(2),118-127(2000). A survey of approaches to equipping current and future faculty members with teaching skills. Examples are given of successful courses and workshops on teaching and mentorship programs. R.M. Felder, A. Rugarcia, and J.E. Stice, “The Future of Engineering Education. V. Assessing Teaching Effectiveness and Educational Scholarship.” Chem. Engr. Education, 34(3),198-207(2000). Methods for determining the effectiveness of instruction in individual courses and curricula (learning outcomes assessments, ratings from students, peers, and alumni, teaching portfolios) and determining the quality of educational scholarship. R.M. Felder, J.E. Stice, and A. Rugarcia, “The Future of Engineering Education. VI. Making Reform Happen.” Chem. Engr. Education, 34(3),208-215(2000). Suggestions for addressing faculty concerns about alternative teaching methods and possible incentives and rewards for faculty to redesign courses and curricula and improve teaching quality. R. Brent and R.M. Felder, “Helping New Faculty Get Off to a Good Start.” Proceedings, 2000 Annual Meeting of the American Society for Engineering Education, ASEE, June 2000. Things administrators and senior faculty can do to help new faculty members become productive in research and effective in teaching early in their careers. R. Brent, R. Felder, T. Regan, A. Walser, C. Carlson-Dakes, D. Evans, C. Malave, K. Sanders, J. McGourty, “Engineering Faculty Development: A Multicoalition Perspective.” Proceedings, 2000 Annual Meeting of the American Society for Engineering Education, ASEE, June 2000. A model for the design of an engineering faculty development program, with implementation examples drawn from several of the NSF Engineering Education Coalitions. C.R. Haller, V.J. Gallagher, T.L. Weldon, and R.M. Felder, “Dynamics of Peer Education in Cooperative Learning Workgroups.” J. Engr. Education, 89(3), 285-293 (2000). Conversation analysis of work sessions of student groups is used to identify patterns of teaching-learning interactions and interactional problems. D.B. Kaufman, R.M. Felder, and H. Fuller, “Accounting for Individual Effort in Cooperative Learning Teams.” J. Engr. Education, 89(2), 133-140 (2000). Design and analysis of a peer rating system to assess individual performance in cooperative learning teams and to use the results to assign individual grades to team members. R.M. Felder, “Schooling vs. Education and Other Balancing Acts.” Educational Research and Methods Division Plenary Lecture, 1999 ASEE Annual Meeting, Charlotte, NC, June 23, 1999. R. Beichner, L. Bernold, E. Burniston, P. Dail, R. Felder, J. Gastineau, M. Gjertsen, and J. Risley, “Case Study of the Physics Component of an Integrated Curriculum.” Phys. Ed. Research, Am. J. Phys. Suppl. 67(7), S16-S24 (1999). N. Al-Holou, N.M. Bilgutay, C. Corleto, J.T. Demel, R.M. Felder, K. Frair, J.E. Froyd, M. Hoit, J. Morgan, and D.L. Wells, “First-Year Integrated Curricula: Design Alternatives and Examples.” J. Engr. Education, 88(4),435-448(1999). R. Brent, R.M. Felder, D. Hirt, D. Switzer, S. Holzer, “A Model Program for Promoting Effective Teaching in Colleges of Engineering.” 1999 ASEE Annual Conference Proceedings, ASEE, June 1999. R.M. Felder and R. Brent, “How to Improve Teaching Quality.” Quality Management Journal, 6(2), 9-21 (1999). R. Brent and R.M. Felder, It’s a Start.” College Teaching, 47(1), 14-17 (1999). How to get courses off to a good start. R. Brent and R.M. Felder, “Effective Teaching Workshops for Engineering and Science Faculties.” ICED (International Consortium for Educational Development in Higher Education) Second International Conference Proceedings, Austin, Texas, April 19-22, 1998. R.M. Felder, “Learning Styles and Teaching Styles.” History of Dr. Felder’s initial engagement with the sometimes controversial (although it wasn’t at the time) topic of learning styles. R.M. Felder and R. Brent,”Faculty Development: Getting the Sermon Beyond the Choir.” 1998 ASEE Annual Conference Proceedings, ASEE, June 1998. Suggestions for making teaching workshops for STEM professors effective and engaging them in faculty development programs other than workshops. R.M. Felder, R. Brent, T.K. Miller, C. Brawner, and R. Allen, “Faculty Teaching Practices and Perceptions Of Institutional Support For Teaching At Eight Engineering Schools.” 1998 Frontiers in Education Conference Proceedings, ASEE/IEEE, November 1998. R.M. Felder and S.W. Peretti, “A Learning Theory-Based Approach to the Undergraduate Engineering Laboratory.” 1998 ASEE Annual Conference Proceedings, ASEE, June 1998. R.M. Felder, G.N. Felder, and E.J. Dietz, “A Longitudinal Study of Engineering Student Performance and Retention. V. Comparisons with Traditionally-Taught Students.” J. Engr. Education, 87(4), 469-480 (1998). S.P. Beaudoin and R.M. Felder, “Preparing the Professoriate: A Study in Mentorship.” J. Grad. Tchng. Asst. Development, 4(3), 87–91 (1997). Description of a faculty-graduate student mentorship program focusing on effective teaching and/or educational research, with a case study of an educational research project. R.M. Felder, “Who Needs These Headaches? Reflections on Teaching First-Year Engineering Students.” Success 101, Fall 1997, pp. 2-4. R.M. Felder, “Beating the Numbers Game: Effective Teaching in Large Classes.” 1997 Annual ASEE Conference Proceedings, ASEE, June 1997. R.M. Felder, R.J. Beichner, L.E. Bernold, E.E. Burniston, P.R. Dail, and H. Fuller, “Update on IMPEC: An Integrated First-Year Engineering Curriculum at North Carolina State University.” 1997 Annual ASEE Conference Proceedings, ASEE, June 1997. R.M. Felder, L.E. Bernold, E.E. Burniston, P.R. Dail, and J.E. Gastineau, “Team-Teaching in an Integrated Freshman Engineering Curriculum.” 1996 Annual ASEE Conference Proceedings, ASEE, June 1996. R.M. Felder, L.E. Bernold, E.E. Burniston, P.R. Dail, and J.E. Gastineau, “An Integrated First-Year Engineering Curriculum.” 1996 Annual ASEE Conference Proceedings, ASEE, June 1996. R.M. Felder, “Active, Inductive, Cooperative Learning: An Instructional Model for Chemistry?” J. Chem. Ed., 73(9), 832-836 (1996). R.M. Felder and R. Brent, “Navigating The Bumpy Road to Student-Centered Instruction.” College Teaching, 44(2), 43-47 (1996). The nature and causes of student resistance to student-centered instructional methods, and techniques for avoiding or minimizing the resistance. R.M. Felder, L.E. Bernold, E.E. Burniston, J.E. Gastineau, and J.B. O’Neal, “An Integrated First-Year Engineering Curriculum at North Carolina State University.” Proceedings of the Frontiers in Education Conference, ASEE/IEEE, November 1995, pp. 4d4.8-4d4.11. R.M. Felder, “A Longitudinal Study of Engineering Student Performance and Retention. IV. Instructional Methods and Student Responses to Them.” J. Engr. Education, 84(4), 361-367 (1995). Description of an instructional approach based on active and cooperative learning used in a sequence of engineering courses, and summary of student responses to the approach. R.M. Felder, “Cooperative Learning in a Sequence of Engineering Courses: A Success Story.” Cooperative Learning and College Teaching Newsletter, 5(2), 10-13 (1995). A synopsis of a longitudinal study of cooperative learning in a sequence of engineering courses. R.M. Felder and E.R. Henriques, “Learning and Teaching Styles in Foreign and Second Language Education.” Foreign Language Annals, 28(1), 21-31 (1995). R.M. Felder, G.N. Felder, M. Mauney, C.E. Hamrin, Jr., and E.J. Dietz, “A Longitudinal Study of Engineering Student Performance and Retention. III. Gender Differences in Student Performance and Attitudes.” J. Engr. Education, 84(2), 151-163 (1995). An article in the Journal of Engineering Education reporting on performance, confidence levels, and attitude differences between men and women taught with an active/cooperative learning model. R.M. Felder, P.H. Mohr, E.J. Dietz, and L. Baker-Ward, “A Longitudinal Study of Engineering Student Performance and Retention. II. Differences between Students from Rural and Urban Backgrounds.” J. Engr. Education, 83(3), 209-217 (1994). R.M. Felder and R. Brent, Cooperative Learning in Technical Courses: Procedures, Pitfalls, and Payoffs. ERIC Document Reproduction Service, ED 377038 (1994). A monograph presenting suggestions for effective implementation of cooperative learning in engineering and science courses. R.M. Felder, “The Myth of the Superhuman Professor.” J. Engr. Education, 82(2), 105-110 (1994). Translated into Spanish and published as “El Mito del Profesor Superhumano.” Educación Química, 5(2), 82-88 (1994). Myths and facts about the linkage between research productivity and teaching effectiveness, and discussion of the role of both in the faculty incentive and reward system. R.M. Felder, “American Engineering Education: Current Issues and Future Directions.” Intl. Journal of Engr. Education, 9(4), 286-289 (1993).The good news is that it was an accurate summary of the current issues and future directions in 1993. The bad news is that it still works remarkably well in 2018. R.M. Felder, “An Engineering Student Survival Guide.” Chapter One, 7(3), 42-44 (1993). R.M. Felder and G.S. Huvard, “Technical Training: Hit the Ground Running.” Chem. Engr., 100(6), 133-136 (1993). R.M. Felder, “Reaching the Second Tier: Learning and Teaching Styles in College Science Education.” J. College Science Teaching, 23(5), 286-290 (1993). R.M. Felder, K.D. Forrest, L. Baker-Ward, E.J. Dietz, and P.H. Mohr, “A Longitudinal Study of Engineering Student Performance and Retention. I. Success and Failure in the Introductory Course.” J. Engr. Education, 82(1), 15-21 (1993). The first of a series of papers describing a study in which a cohort of students was taught five chemical engineering courses in successive semesters using extensive active and cooperative learning. D.A. Crowl, D.W. Hubbard, and R.M. Felder, Problem Set: Stoichiometry. AIChE/CCPS, New York (1993). A set of problems for the stoichiometry course related to process and plant safety. R.M. Felder and R. Brent, “Writing Assignments: Pathways to Connections, Clarity, Creativity.” College Teaching, 40(1), 43-47 (1992). Examples of short writing assignments that address a wide variety of learning objectives. R.M. Felder and G.N. Felder, “Is the Quality of American Students Really Declining?” Chem. Engr. Progr., June 1992, pp. 79-89. Translated into Spanish and reprinted as “Realmente Está Disminuyendo la Calidad de los Estudiantes Norteamericanos?” Educación Química, 5(1), 32-42 (1994). R.M. Felder, “Stoichiometry without Tears.” Chem. Engr. Education, 24(4), 188 (1990). Tips on teaching the introductory chemical engineering course (material and energy balances), with an extended illustrative active learning exercise. R.M. Felder, R. Leonard, and R.L. Porter, “Oh God, Not Another Teaching Workshop.” Engineering Education, 79(6), 622 (1989). Reprinted in J. Coll. Sci. Teaching, 21(4), 207-209 (1992). R.M. Felder, “Learning Styles of Engineering Students and Engineering Professors.” Tecnología, Ciencia, Educación (IMIQ), 4(1), 56-62 (1989). Translated into Spanish and reprinted as “Estilos de Aprendizaje de los Estudiantes y los Profesores de Ingeniería.” Educación Química, 1(3), 110-115 (1990). R.M. Felder, “How Students Learn: Adapting Teaching Styles to Learning Styles.” 1988 Frontiers in Education Conference Proceedings, ASEE/IEEE, Santa Barbara, CA, October 1988, pp. 489-494. R.M. Felder, “Creativity in Engineering Education.” Chem. Eng.Education, 22(3), 120 (1988). Techniques to help engineering students develop creative thinking skills. R.M. Felder and B.A. Soloman, “Systems Thinking: An Experimental Course for College Freshmen.” Innovative Higher Education, 12(2), 57-68 (1988). A description of a course taught in 1986 that made extensive use of active learning to help students develop critical thinking and communication skills. R.M. Felder, “A Course on Presenting Technical Talks.” Chem. Eng. Education, 22(2), 84-86 (1988). R.M. Felder, “On Creating Creative Engineers.” Engineering Education, 77(4), 222-227 (1987). (William Elgin Wickenden Award Paper, ASEE, June 1988; 1987 Outstanding Paper on Engineering Education, Southeastern Section of the ASEE, April 1987.) Classroom exercises and assignments to help students develop and improve their creative thinking skills. R.M. Felder, “The Future ChE Curriculum: Must One Size Fit All?” Chem. Eng. Education, 21(2), 74-77 (1987). R.M. Felder, “Identifying and Dealing with Exceptionally Gifted Children: The Half-Blind Leading the Sighted.” Roeper Review, 8(3), 174-177 (1986). How our educational system routinely fails to meet the needs of the most intellectually gifted of our students. R.M. Felder, “The Generic Quiz: A Device to Stimulate Creativity and Higher-Level Thinking Skills.” Chem. Eng. Education, 19(4), 176 (1985). (1985 Corcoran Award Paper, Chemical Engineering Division, ASEE; 1986 Outstanding Paper on Engineering Education, Southeastern Section of the ASEE.) A “make-up-an-exam” exercise that helps students develop higher-level thinking skills (analytical, critical, and creative thinking). R.M. Felder, “Cheating — An Ounce of Prevention.” Chem. Eng. Education, 19(1), 12-17 (1985). Common student cheating strategies and tips for preventing and detecting them. R.M. Felder, “Does Engineering Education Have Anything to Do with Either One: Toward a Systems Approach to Training Engineers.” R.J. Reynolds Industries Award Distinguished Lecture Series, North Carolina State University, October 1982. A monograph that relates prevalent practices in engineering education to many technology-based problems facing society. Many of the educational reforms suggested in the monograph were developed further in Dr. Felder’s papers in subsequent decades and anticipated many of the features of the current engineering program accreditation system. R.M. Felder and D.B. Marsland, “Chemical Process Systems: A Second Course in Chemical Engineering.” Chem. Eng. Education, 13, 116-119 (1979). R.M. Felder, “Chemical Engineering at North Carolina State University.” Chem. Eng. Education, 13(1), 2-6 (1979). An informal portrait of the N.C. State University Chemical Engineering Department in 1979. R.M. Felder, “Today We Will Hear from the CHE Department.” Chem. Eng. Education, 6, 118-120 (1972).